Vacation rental house. Sleeps 17, 7 bedrooms, 5.5 bathrooms. No pets allowed. This property is available exclusively to family groups only. 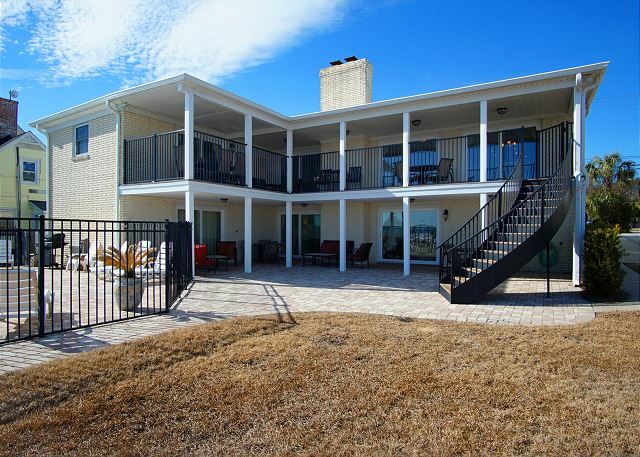 This 7 bedroom, 5.5 bathroom oceanfront home located in southern Myrtle Beach has been recently renovated and features a private pool and magnificent views of the ocean from all over the house. 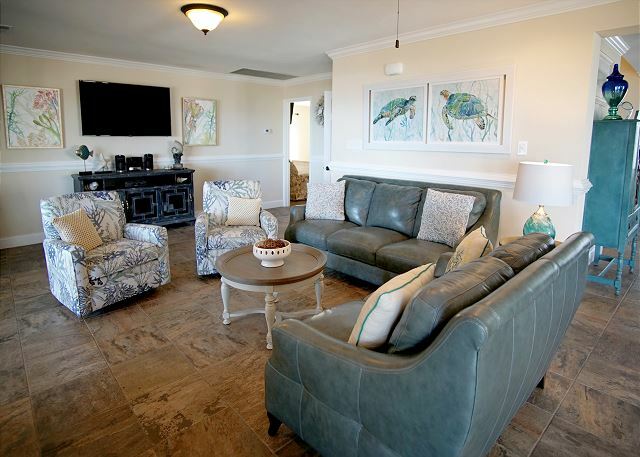 This 2 story home features a private pool, large patio & deck area, gas grill, private beach access with shower, 2 fully equipped kitchens, Wi-fi internet access, and beautiful views of the beach and ocean from many rooms and the upstairs balcony. 7 night minimum during the summer months and 3 night minimum during the non-summer months. Note: You enter house from street side which is actually the 2nd floor. 1st Floor (ground level): small kitchen with fridge, dishwasher, stove/oven, microwave, double sinks and island with 4 bar stools; dining room table that seats 6; living room with 50" TV, couch & 2 chairs ; large bonus room with 50" TV, sofa & chairs, full size washer & dryer; bedroom w/ 1 king bed, TV and shares a bathroom with a bedroom w/ 2 queens beds & TV; bedroom w/ 1 double bed, TV that shares a bathroom with bedroom with a bunk bed w/ trundle (3 singles beds) and a TV. 2nd Floor (front door): large fully equipped kitchen with fridge, 2 dishwashers, sink, stove/oven, microwave and bar with 8 bar stools; dining room table that seats 8, living room with 50" TV, 2 couches and a chair; and 3 bedrooms with 1 king bed, TV and private bathroom in each. The pool can be heated during the months of March-May and September-November but only when the outside temperature doesn't fall below 55 degrees (day or night). If you would like the pool heated when the low temperatures are below 45 degrees a $75 per day pool heating fee would be required to help offset the cost of the excessive gas heating bill. Guests may park a maximum of 6 vehicles at the property which includes the two car garage and ample driveway parking space. This house has everything you'd want for a big group. The location is great and the house is even better. The pool area and beach access are 2nd to none. 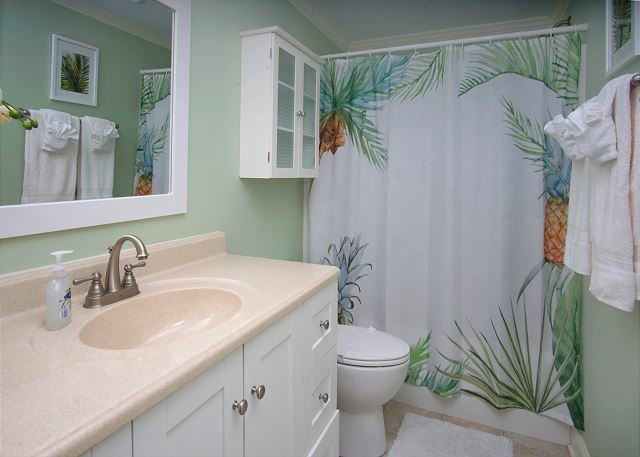 Jeff from Palmetto Properties was great to deal with and the the house was spotless upon arrival. Awesome vacation for my whole family. There were 15 of us from age 1 to age 60 and there was something for everyone. Property is centrally located, well maintained and well designed. Loved the pool and beach access. Absolutely wonderful house. 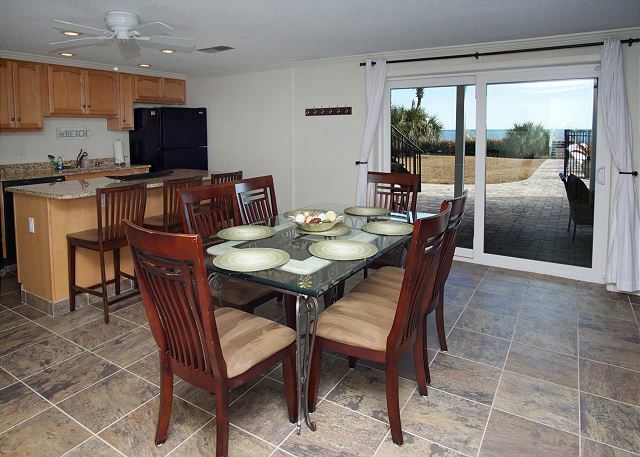 We have been renting houses in Myrtle Beach for several years and this is my favorite. House was very clean, great pool and great location. Only problem was we could not locate a broom or sweeper. Also would have been nice to have a griddle to cook for a large group. Great rental! We had a great family reunion at the Eastern Shore property. Vacation was great. We loved the house, very roomy. This is our 4th year staying at this property and we love it. The home is beautiful and well maintained. Any issues are immediately taken care of with a quick text message to Jeff. The house was fantastic and met or exceeded all our expectations. The pool was great and the location of the house wonderful. Beautiful house, great location, very quiet and private, perfect weather. Couldn't have asked for a better experience. Couple of us rented the house that were running the marathon. It’s literally on mile 13. 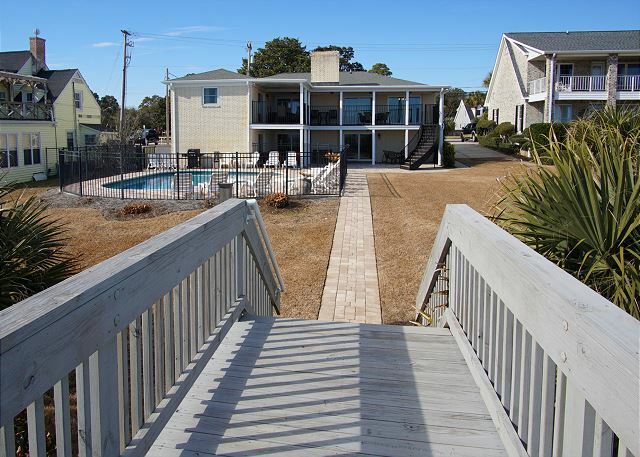 Ocean front with heated pool and lots of room. Could not ask for a better location and house. Will book again for next year. Glad the house worked out great for your needs and looking forward to you staying with us again next year! We had a fantastic family stay on the ocean in a wonderful house with a lot of space in an excellent location! We recently had a family wedding in Myrtle Beach with many family members travelling from out of state to attend. We booked Eastern Shore for a home base for one side of our family. It was perfect. Jeff Cline from Palmetto Properties was very responsive to any inquiries we had prior to our travel and was easy to work with. We had 4 rental cars and had plenty of parking. The house and furnishings are in excellent condition. If we ever travel with a large group to Myrtle Beach we will definitely stay here again. The location was perfect for us. 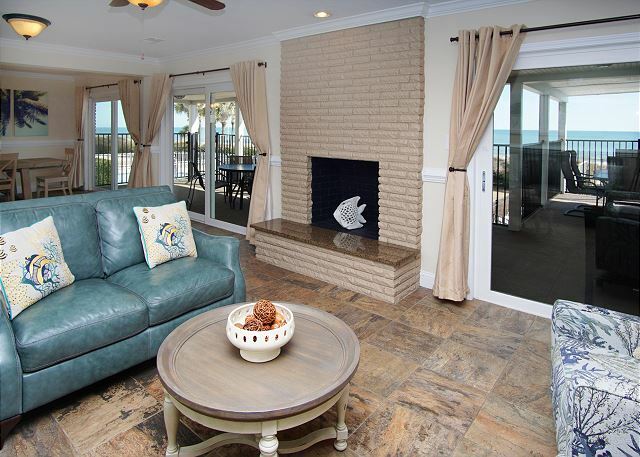 Close to the boardwalk and Broadway at the Beach. We had a rehearsal dinner at Landry's and the wedding at St. John the Baptist Greek Orthodox Church, all nearby. Loved walking the beach and collecting shells. Mid October is beautiful in Myrtle Beach. One could not ask for anything more from this property. This was the 2nd year in a row that we've stayed at the Eastern Shore house. 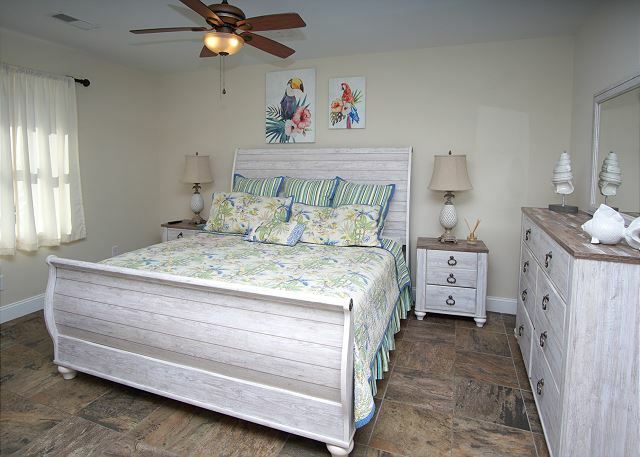 It is a magnificent experience being the house size, the condition of the home, the location in regards to the beach and dining/shopping is pretty hard to beat. I've already e-mailed Jeff to reserve for next year. We had a wonderful experience at Eastern Shore. The house is beautiful and the pool was great. We have rented the property for the last three years and we couldn't be happier. The owner and her family are a delight and Jeff from PPofMB has always been attentive to anything we need. The only thing I would love to see is an updated washer and dryer on the upstairs floor. We enjoyed our stay. It was very quiet and relaxing. The house was beautiful. We would definitely rent this house again. Went down with 13 people. Everything was perfect! All the guests thought it was a perfect place to stay in Myrtle. The rental experience for this home was great. The rental company made accommodations for each of my requests with no questions asked. The house had everything we needed and the location was great. I would absolutely look for this place again for future visits to Myrtle Beach. This house was just right for our family gathering of 9 adults and 2 children. We had plenty of room and the location was perfect. House was very clean and comfortable. The views of the sunrise and ocean were just breathtaking. Only suggestion is to put the house number on the house or garage as we were not sure of which house it was. Glad you enjoyed your holiday stay at the house. We appreciate that very helpful feedback regarding the house number! Our Thanksgiving Family Reunion was a great success and this lovely oceanfront home in the best of locations was a treasure! We will return in the future. Thanks for a great experience. Please stay with us again! We had a golf trip with the guys - there were 7 of us. There was plenty of space to hang out and watch the game and plenty of space to have our own rooms and space. Clean and convenient to everything there is to do. This house/property is absolutely gorgeous. We had an amazing stay in Myrtle. We spent most of our time in the pool or at the beach. The house is very spacious and clean. We will be making this trip yearly. Our entire party enjoyed every aspect of this property. The kids especially enjoyed the pool and the private access to the beach. The adults enjoyed the spaciousness the house provided, the amazing calming views of the ocean, and the many amenities of the home itself, I.e., washers, dryers, dishwashers. We had a concern about a boarded up window and brought it to Jeff's attention and he assured us that he was aware of it and it would be taken care of. The house was clean, the furnishings were in good shape, plenty of eating utensils, dishes and pots and pans. We did have some issues with wifi/cable on the tv in the upper family room and a bedroom. Besides that I highly recommend this property and have reserved this same week next year. We appreciate your feedback and look forward to you vacationing with us in the future! Family members gathered in Myrtle Beach for my sister in laws 80th Birthday. 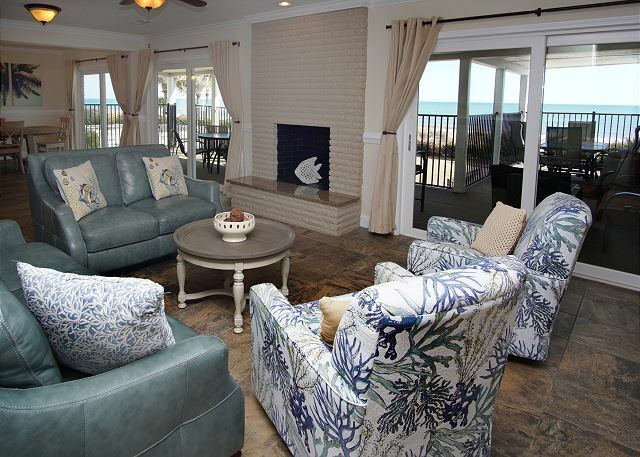 5 couples rented this beautiful ocean front property. The property manager, Jeff, was excellent to work with. He called before our arrival alerting us to a problem, and was hands on to take care of it. The house was very clean. When you walk in, the ocean view is beautiful. 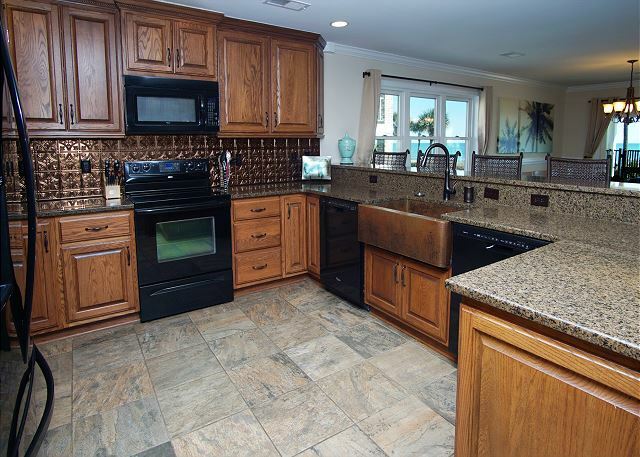 A large kitchen, dining table that accommodates 12, family room and 3 master bedrooms. Downstairs are 4 more bedrooms with 2 bathrooms another kitchen/family room. There are 10 flat screen TV's! We were able to eat outside since there was plenty of tables and chairs. I would highly recommend this property. We did make a list of some items that need to be replaces such as cookware, can openers, adding some larger bowls, plastic glasses. We will definitely plan on coming back to this property! THIS WAS THE MOST AWESOME RENTAL EXPERIENCE EVER. THIS HOME ACCOMMODATED OUR FAMILY OF 13 EXTREMELY WELL. LOTS OF ROOM AND ACCOMMODATIONS WERE SUPERB! LOVED THE LOCATION WITH ALL OF ITS' UPDATED FEATURES. Thank you for the great review and we hope you stay with us again in the future! 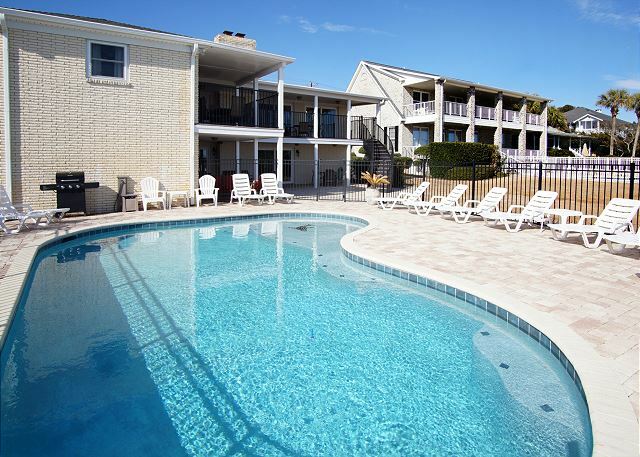 Booked Eastern Shore through website based on the photos and amenities listed. The arrival process was seamless and we were thrilled when we walked in. 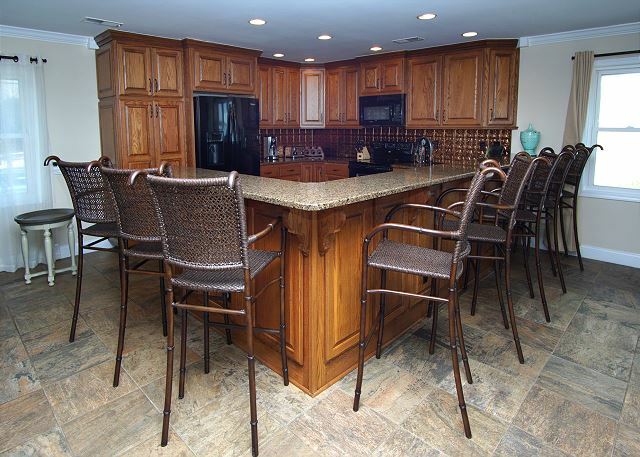 The property was immaculate and perfect for our extended family of 11. Could not beat the view and the proximity to the beach was a highlight. When we got too hot at the beach we cooled off in the well kept pool. TV and internet worked fine. The one suggestion I would have is to post the instructions for the cable as it sometimes needed to be reset (no doubt to our unfamiliarity with the system). We are very glad to hear that you enjoyed your vacation and hope you visit again! Glad you enjoyed your stay once again this year and look forward to you staying with us again next summer! This is a great property! This was our second year staying at the Eastern Shore. The owner resides next door and they are the nicest people who take pride if providing a beautiful, clean and well maintained property. Looking forward to spending many more vacations at Eastern Shore ! We hope you choose to stay with us again soon! My stay at this rental property was truly a joyful experience. 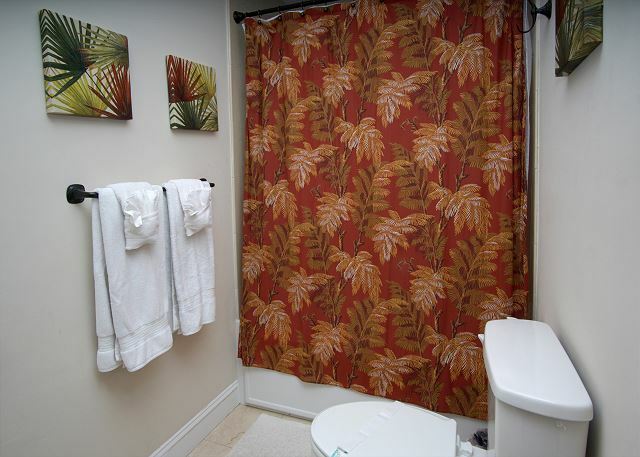 The location offered you privacy along with being close to all the main happenings in Myrtle Beach. I would not hesitate for one moment in renting this property again for another stay. 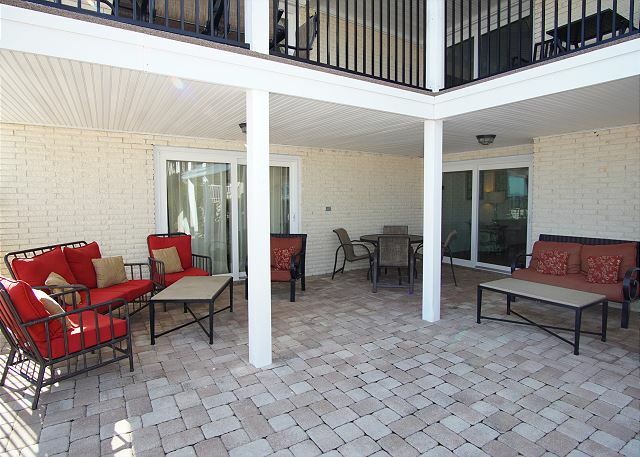 Palmetto Properties kept you informed and acted exceptionally professional . We appreciate your comments and glad you enjoyed your stay! Everything it appears to be and more! 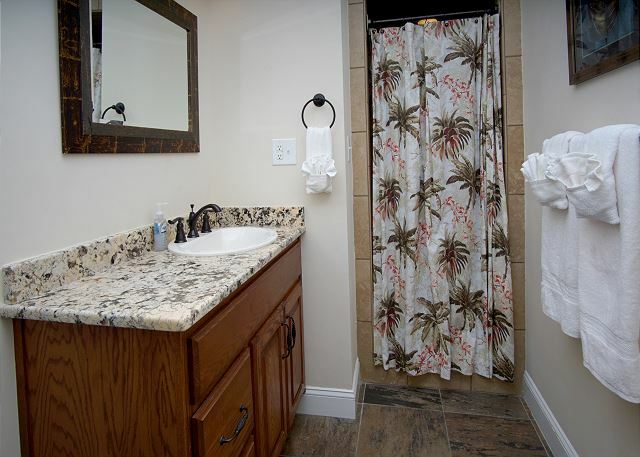 This upscale property shows beautifully in pictures yet they cannot do it justice. The home is very spacious with more than ample parking. 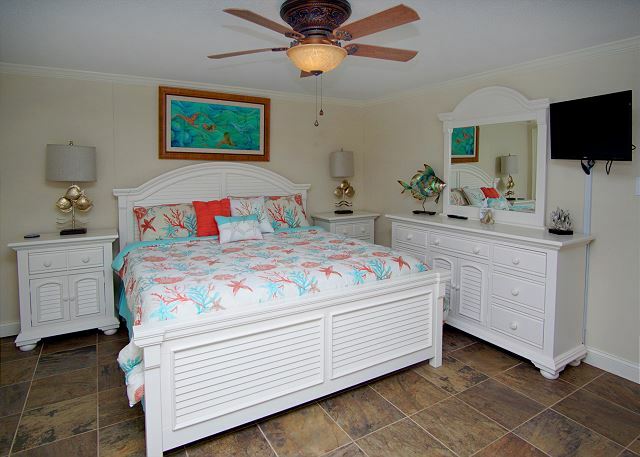 It is beautifully and comfortably decorated and offers every amenity a multiple family vacation requires. The pristine pool is clean and refreshing and the ocean is closer than pictures indicate. 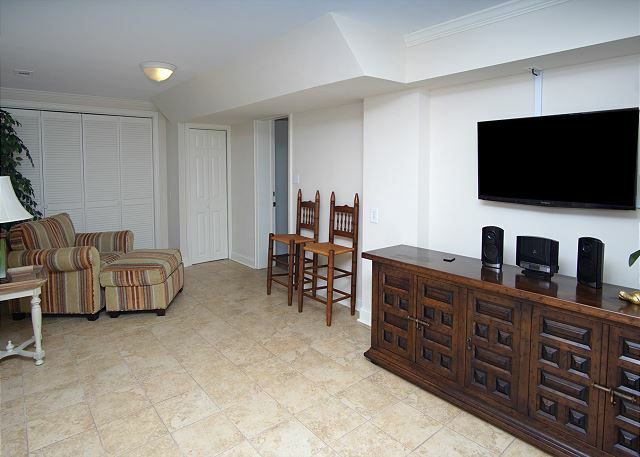 The property is truly conveniently located to shopping and some of the best dining in Myrtle Beach, that is if one should find the need to leave the comfort and convenience of the property! The management company was professional and quick to answer any questions we had and our family would confidently recommend this property for anyone looking for much more than your average rental. Thanks Paula for the glowing feedback! We hope you stay with us again in the future! Property manager Jeff was a pleasure to work with, very helpful and got back to me with any questions I had right away. 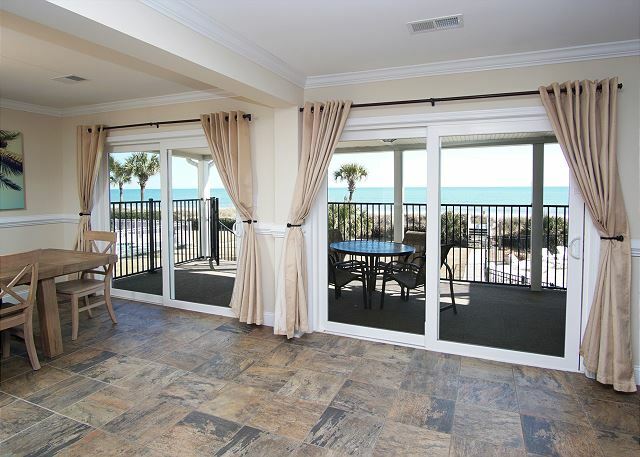 The property itself is in a superb location, walking distance to restaurants or a short cab ride to celebrity circle and the boardwalk. The view from this home is nothing short of spectacular, the bedrooms are all very large and well appointed. We were beyond impressed and surprised how much space this house has, the pictures really do not do this home justice. 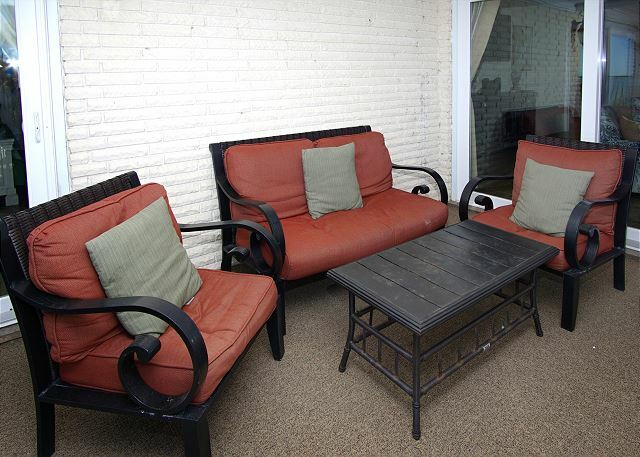 Plenty of outdoor seating space for guests. The propane barbeque was a treat to have and really made our stay that much more enjoyable(make sure all downstairs doors are closed while in use, fire alarms on the lower level are sensitive; Myrle Beach F.D. has excellent reaction time. The pool and grounds were very clean and well maintained. Direct access to the beach was amazing and the beach was beautiful and clean. I would highly suggest renting this property if you are visiting the Myrtle Beach area, I will be a repeat customer for sure! Thanks for great review! We look forward to you staying with us again in the future. This was a very special occasion for my children their spouses and my wife and their mother passed away last day after Thanksgiving. My children and I were bedside for the week. It likely the most difficult time of our lives. Beverly was only 55 years old and we were married almost 36 years. I wanted to spend this week in loving remembrance. The property was perfect for such an purpose.Although there was only ten of us, I could see that 18 would also be able to stay.The sunrises were beautiful and the butterflies in late November were a gift, as butterflies were very special to Beverly. Eastern Shore was awesome from the spacious home to its prime location. This was our first visit (for most of our family) to Myrtle Beach. We were in close proximity to shopping, great restaurants and amusements, which our grandchildren enjoyed. We had a couple of small issues which Jeff was on top of. He is an awesome property manager. This was our best family vacation ever! I would highly recommend Eastern Shore if you're vacationing in Myrtle Beach. My family and I had a fabulous time at Eastern Shore. The house was perfect for our large family. Everything in the house as well as the pool, lawn, and beach area was immaculate. We look forward to staying at Eastern Shore again. We appreciate your comments and look forward to you returning soon! Our family was very spoiled last week staying at Eastern Shore! The home's layout and design was perfect for our family of 19. We enjoyed being able to go to the beach in the morning and then back to the pool. The home was clean and very well maintained. I enjoyed working with Jeff at Palmetto Properties, he answered all my questions quickly and provided great customer service when we booked Eastern Shore. There is so much to do in Myrtle Beach and Charleston that there is no way to get it all done in one trip. We will definitely be returning soon! I am so glad everything went well during your stay, we look forward to you vacationing with us again on your next trip! Appreciate the comments Matt, glad you enjoyed your stay. We loved the Eastern Shore house. It met all our expectations and more! The pool was perfect and the beach was wonderful. There are just a couple of things that could have been better. The wifi signal in the house is very weak, sometimes nonexistent. And while it was great to have a large dining room table so we could all eat together and play cards and games in the evening, the chairs were the most uncomfortable that I have ever sat at. So throw a pillow on them and you're fine! We had a group that ages ranged from 11 weeks to 82 years and it met all our needs. We would definitely rent this house again if we return to MB with a large group! We appreciate your feedback Phil regarding the table and chairs and will certainly look into it. Glad you enjoyed your stay and hope you return next year. Our rental vacation experience was very positive. 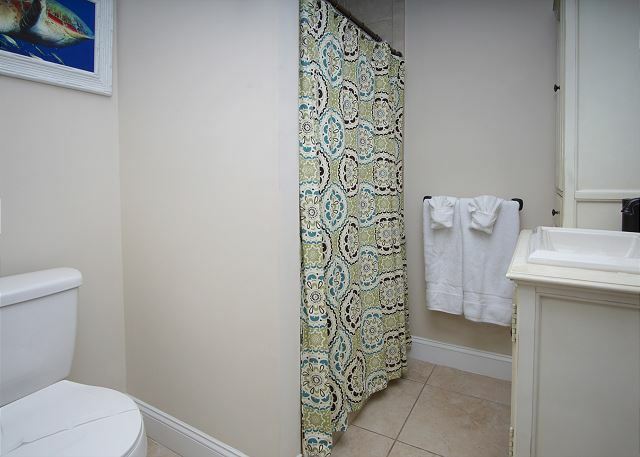 We were extremely pleased upon arrival, in fact, we didn't think the website photos did the property justice. 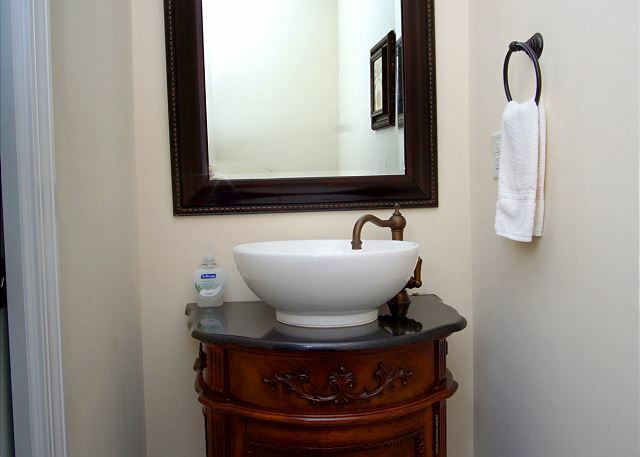 The rooms were all very tastefully decorated and every bedroom except one had an adjoining bathroom. 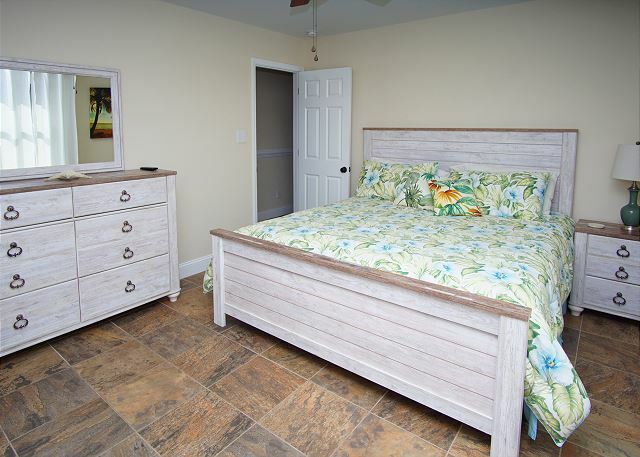 Two of the bedrooms included sliding doors with ocean views. One of those bedrooms opened to the upper deck overlooking the pool and the other allowed quick access to the pool on the lower level. 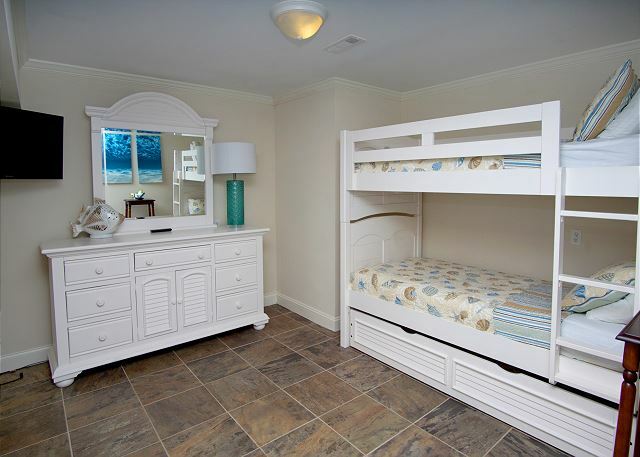 Any family or families would certainly have plenty of room and privacy in this property. We certInly did! We are very glad you enjoyed your stay and hope you choose to stay with us again in the future! This property was amazing. It was a perfect vacation home. We thoroughly enjoyed it. Thanks Robert for the comments regarding your stay. Great layout and very clean, overall. Somebody dropped the ball in having the pool ready for us (which I suspect is an unusual failure) and the house alarm system repeatedly and needlessly talking (which quirk will no doubt be resolved soon), it was a very good place to visit. I think we will might visit here again later this year. John, thanks for the feedback and we would love for your family to return later this year! I talked with pool company and they assured me that will not happen again; also talked with ADT to resolve the unnecessary audible notifications from the alarm system. the property is amazing.. So impressed with pool, location etc. I stay all over the country and this is one of the best.. Thanks Brian, glad you enjoyed your stay! We had an amazing week! The property manager was very accommodating and helpful. The home was perfect for our group! Already booked for next year!! Thanks for the feedback, we look forward to you returning next year! Annual New Years Eve Retreat "The Clambake"
We have been traveling down to Myrtle Beach for the New Years Holiday now for 12 years. We have spent the last two years in this house. 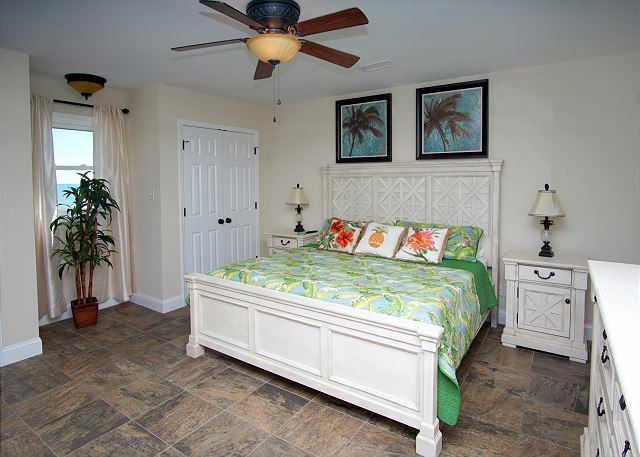 It is the most outstanding property that we have rented and we plan to return for many more. We appreciate your loyalty and look forward to next year! Peaceful and relaxing home with plenty of room for rall. 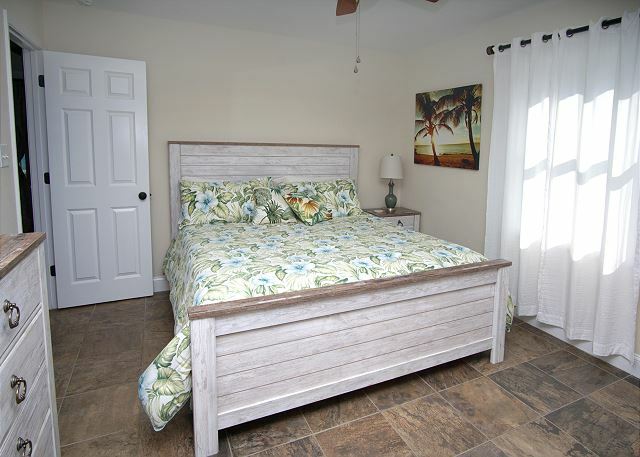 We had a group of friends who do an annual golf trip and the house provided perfect accommodations as far as beds, storage, location, and beach access. We had some nice quiet evenings right on the ocean while alos having quick access to local restaurants and shops, but most importantly the golf courses. Great property, everyone enjoyed our stay. Thanks for staying with us, glad you enjoyed your stay! This luxury home was a wonderful change of pace from our usual condo rental. 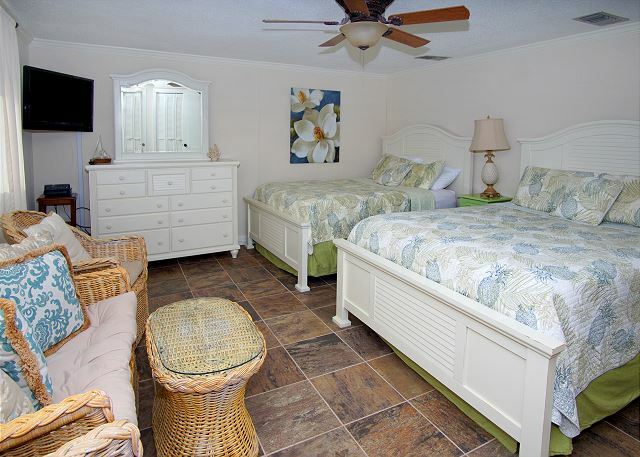 More than enough room for several families, and amendities that may your stay as relaxing as possible. 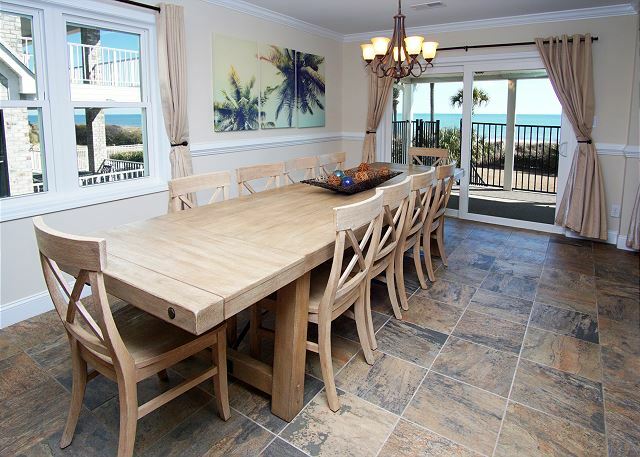 House is clean, well decorated and the views of the ocean are spectacular. The best part of my day was waking up with a cup of coffee (Starbucks is about 150 yards away!) and enjoying our unobstructed view of the Atlantic. The owners live next door and are very serious about making sure your stay is perfect. We had some minor issues with the WiFi (weak signal in the house), lack of hangers and leaking blender, but it did not derail us the slightest bit. 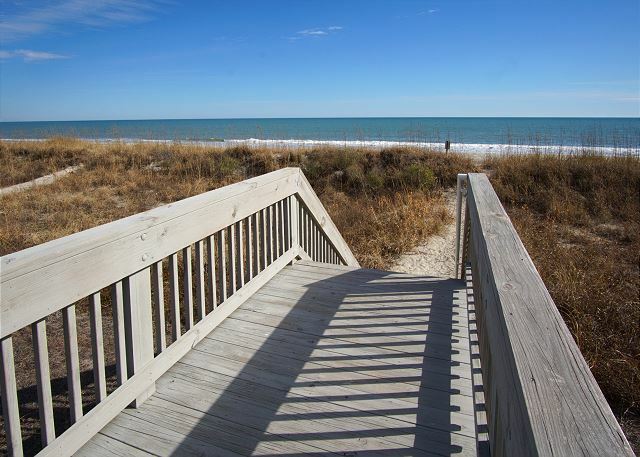 The location on the Golden Mile of Myrtle Beach is prime, and while there are high rise hotels nearby, the beach in front of the house does not fill up. You'll need your own beach chairs, or you can rent them from the lifeguard (which we did). But if you have kids, they do supply some beach toys. Plus, we left two brand new boogey boards, so that should come in handy for future visitors. The pool is beautful and a great amenity when you're looking to unwind at the end of a busy day, round of golf or just to get away from the beach. 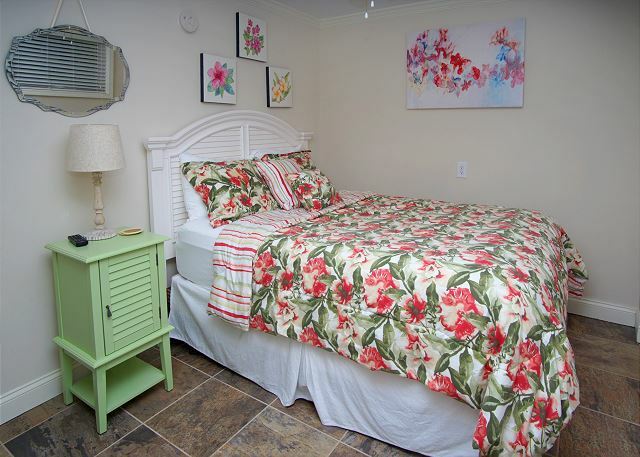 There is no doubt we would stay here again and I hope its available when we book our next Myrtle Beach vacation. We appreciate the positive feedback and comments! 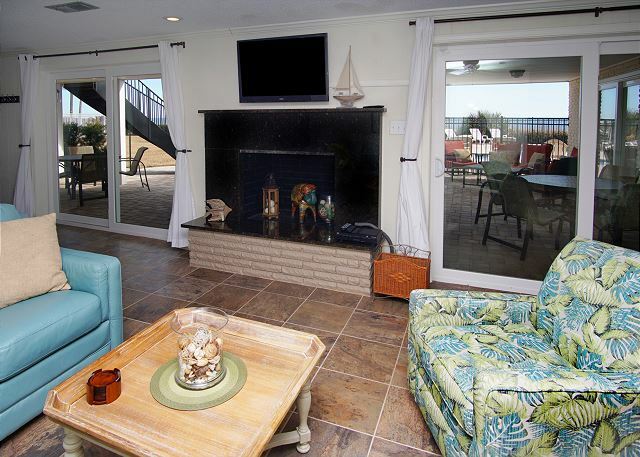 Be sure to let us know when you are returning to Myrtle Beach, this property fills up fast! We had a wonderful experience. The house was perfect for our family gathering. We had a total of 15 people and there was more than enough room for all us. The house was clean and the location was great. This house has the best views, location, and amenities! We couldn't ask for a better place. It was beautiful and the views from the decks were amazing. The layout was so convenient for our large group. We walked to local restaurants and activities. We will definitely stay here again!!! Great location, great property. There was nothing negative to say about Eastern Shore and Palmetto Properties. I would recommend this house to any and all. We hope you stay with us again! Great location and the pictures do not do this place justice. 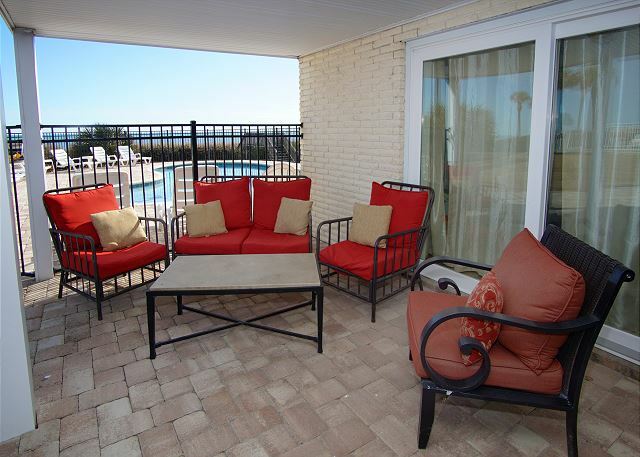 Property management was easily accessible and resolved any issues within hours. We had 16 in our group and everyone loved the place. We will certainly be back and would easily recommend this place to anyone traveling to Myrtle Beach. We loved the house, great location, great pool, great Beach and the weather was fantastic! Tip, we were in between two separate bike weeks (lucky) and I would avoid those two weeks as we had some spin off of each which didn't realy impact us. Thanks Darren, very glad to hear you enjoyed your stay!! We loved the house. There was plenty of room for everyone. The pool was heated. The location was great. We will definitely stay there again. Very glad you enjoyed your stay and look forward to you returning! So glad to hear you enjoyed your stay at the property! We would love for you to return next year! When we first walked in everyone's jaw dropped. The online pictures just don't do it justice. The upstairs is flat out luxurious and super comfortable. The views from the deck of the pool and ocean were fantastic. The downstairs was equally as comfortable and with carpet4ed floors it was great for the kids to roll around on and play. There is space inside and outside this house so that a large group(we had 13) can have fun together but also have some privacy. 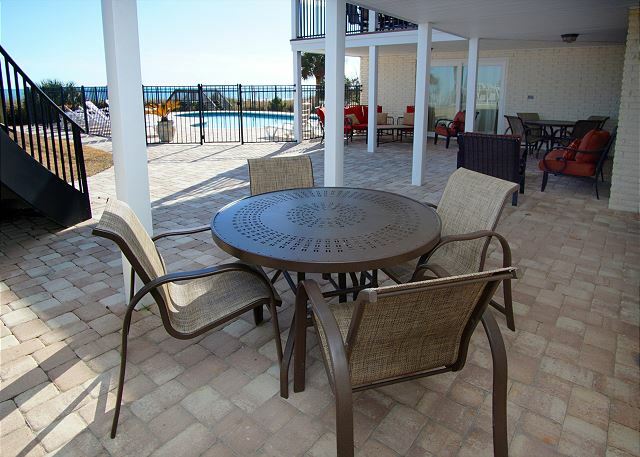 Lots of outdoor furniture up and down provide multiple areas to sit and enjoy the sun or shade and to store your beach chairs etc. The pool was fantastic and kept clean by the pool service. I didn't realize how much we'd use it, but having your own private pool is a HUGE plus. The location of this property is away from the busy high rises enough so you don't notice them but close enough to restaurants and stores to make trips for food and drink short and easy. We were spoiled by this house. I'm not sure we can ever go back to renting hotels or condos again. Very happy to hear that the property exceeded your expectations! We hope you vacation wtih us again in the future.